With all of the problems the USPS has been facing, it hasn’t changed the fact that direct mail is still one of the best ways to market a business or service according to a study by the Direct Mail Association and referenced in this article by Ad Age. The political/internal/financial battle happening within the United States Postal Service has affected delivery times and in recent news, California Representative Darrell Issa suggested in a bill that the USPS will no longer deliver mail directly to your door. Only to curbside mailboxes and cluster boxes similar to those found in apartment complexes. You can pay a fee to keep the to-your-door service if you don’t mind paying for it and exceptions will be made for the elderly and those who can prove physical disability. Although the USPS is changing and will keep changing, what most matters is that your target audience gets their mail pieces in a timely fashion and convert into customers. Bulk mail is processed by the mail house before it gets to the Post Office saving the USPS time and money. The mailer typically has a mailing permit that must be printed on to each piece identifying the postage class and the account of the mailer who performed the mailing. Presort software is used to connect to the USPS to presort the addresses, qualify the quantity and mail piece cost from your mailing list, add barcodes, check for duplicates and verifies address accuracy against the National Change of Address (NCOA) database. Planning ahead with delivery times in mind will help your direct mail campaign to be more effective and you can save money as well. Standard mail is the least expensive and slower class of bulk mail for for printed matter, flyers, circulars, advertising, newsletters, bulletins, catalogs, and small packages. Deeply discounted, Standard mail costs less because your mailing company or mail house does most of the processing for the Post Office and those savings are passed on to you in the form of a postage discount. With Standard mail, any pieces that are undeliverable are not returned to the sender which is also saves the USPS time and money. What do you need to qualify for Standard Mail discounted postage? First Class Mail is the faster of the two and if the address printed on the mailpiece is undeliverable, the USPS will automatically forward it to the correct address (if it’s on file) or return it to the sender. This ensures that the recipient receives the mailpiece or at least you can remove them from your mailing list saving you money on postage costs on the next mailing. Depending on your budget and time-frame, the extra cost for First Class Mail can be worth it and it’s still less than the cost of a regular single-piece stamp. 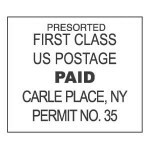 What are the requirements to qualify for First Class discounted postage? Note: A 4.25 x 6 Postcard is mailed First Class by default at a special Postcard Rate. First Class and Standard mail are considered Unzoned Mail. 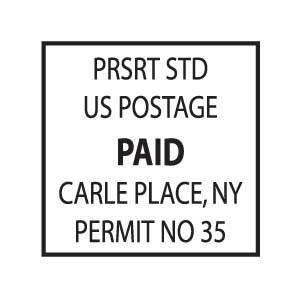 Meaning you pay the same price without regard to where the mailpiece goes (within the U.S.). Nevertheless, there are differences in the cost of each piece depending on mailpiece type (postcard, letter, flat or parcel – each mailpiece type has its own size restrictions), weight and traying sequence (5-digit, 3-digit, AADC and mixed AADC) which is determined by the mailing software used by your mail house. The United States Postal Service offers a handy Business Price Calculator to give you a good idea of what your postage costs may be per piece. Download our convenient Envelope Size Chart to learn about standard envelope sizes and differences. For other types of mail classes, the price is determined by the distance the mailpiece travels to arrive at it’s destination. The further it has to travel, the more postage paid for that piece. The distance is established by the use of zones.